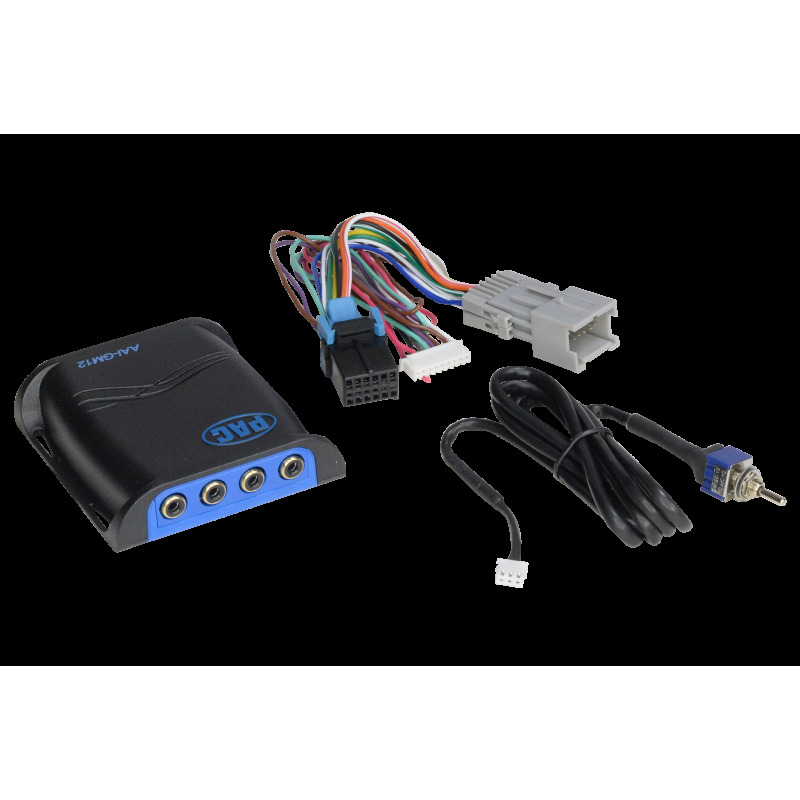 Add an audio input to your 2000 - 2009 General Motors factory radio, connect your portable audio devices directly to your vehicle for simple, high quality sound. Connects to the 12-pin auxiliary input port on the back of the factory radio. Provides two pairs of stereo inputs. Requires factory auxiliary source such as a console or dash mounted cassette, CD player or console mounted CD changer. Can only be used in vehicles equipped with a factory slave unit (external CD player, XM tuner or external single CD player). If the vehicle is not equipped with a factory slave unit then you must use the ISGM535.